Making sure your dog gets the proper amount of exercise every day is essential to his or her health and happiness. Working long hours or dealing with unexpected commitments can inhibit your ability to give your special companion this much-needed attention and can result in an unhappy, unhealthy animal. An everyday dog walk is an essential part of pet care maintenance and can help your dog avoid boredom, which can result in lethargy and destructive behaviour. 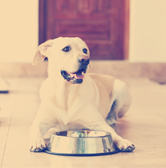 Most owners are away from home on an average of 8-10 hours a day, leaving their pets alone for extended periods of time. Even if you have a busy schedule, it doesn’t mean your pets can’t get the time and exercise they need! With Rosie Pets, you won’t have to worry about your dog going without a walk while you’re away. With our professional dog walking service, one of our caring Brisbane dog walkers will take your pooch for a 30, 45, or 60-minute walk, depending on his or her needs. We’ll also walk an additional dog for only $8 more! Share the cost, get your neighbour to join in! 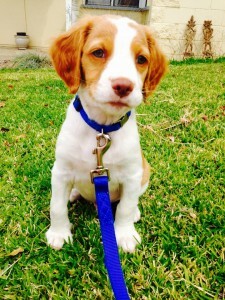 Need Dog Walking in Brisbane? Rosie Pets is Brisbane’s favourite pet care company and has been walking dogs for over 10 years. We absolutely adore animals and always treat your pets as if they were one of our own. You’ll rest easy knowing that your pooch is in good hands and getting the best care possible. So what are you waiting for? 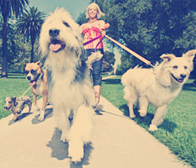 Schedule your first dog walking session with us, today! You and your companion will be so happy you did. 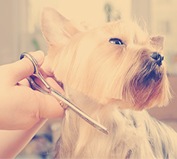 Looking for dog grooming, dog washing, or pet sitting services? We do that, too!